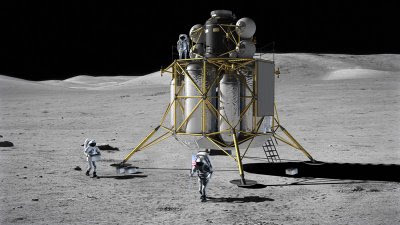 The next person to set foot on the Moon might not have any memory of the moment when the first astronauts landed there 40 years ago this month. Six of the nine astronaut candidates named by NASA on June 29 were born after Neil Armstrong and Buzz Aldrin made their giant leap for mankind. This diverse group of future space travelers range in age from 30 to 43; the average age is 37. As noted here last summer, when the deadline loomed for aspiring astronauts to submit their resume, more than 3,500 people raised their hands. The planned retirement of NASA's space shuttle fleet at the end of next year means the new kinds of missions for whom this team was chosen will be far different from most of their predecessors' jobs. That means different kind of training, which begins next month at NASA's Johnson Space Center, Houston. Here's a bit about what the previous group of 11 astronaut candidates went through after their selection in 2004.